Stephen Ward head of wheat free pet food firm, Heights Farm Premium Pet Foods shares his tips and offers advice on how much to feed a dog. Stephen founded Heights Farm Premium Pet Foods back in May 2009. 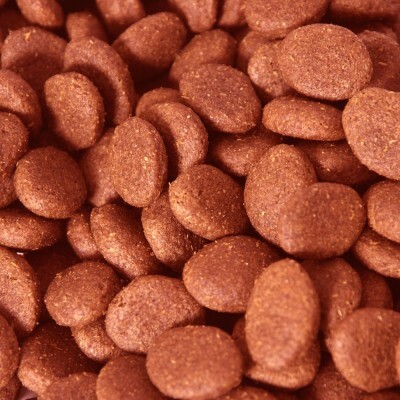 The UK based wheat free dog food retailers sells a select range of premium dog foods both locally and nationally. 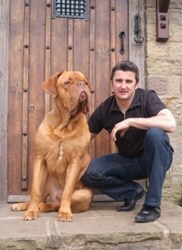 Specialising in gluten free pet food and UK made hypoallergenic dog food; Heights Farm Premium Pet Foods began after Stephen’s French Mastiff fell ill.
“Milo was constantly scratching himself and was unable to settle at night” explained Stephen. “He got worse, so I searched the internet for possible answers and realised he was allergic to wheat” said Stephen. "I began feeding him hypoallergenic dog food and he improved in just over a week” added the pet food retailer. The experience got Stephen thinking and he began to plan starting a business selling wheat free dog foods. Stephen searched for a UK wheat free dog food manufacturer and once a suitable supplier was found, Height Farm Premium Pet Foods began trading. His Lancashire based pet food company is now a major retailer of hypoallergenic pet foods. “I’m often asked how much should I feed my dog and we have a guide on our website which explains everything in detail,” said Stephen. “Not all dogs are allergic to wheat but many are. A dog’s stomach isn’t designed to process wheat or corn and this is often added to cheaper dog foods to bulk them out,” advises Stephen. Divide meals in to two or more servings a day as this will aid digestion. One of the best ways to judge if you are feeding correctly is to check what comes out of the other end! There shouldn’t be a lot of faeces and it should be well formed. Once a suitable feeding pattern is established feed the exact amount each meal time. Dogs like routine so feed at the same time each day. Don’t leave food down all day as this can lead to fussy eating habits and will make weight control difficult. After twenty minutes, remove the bowl and dispose of any left over food. Stick to the same food as dogs have trouble with diet changes. If changing the food then mix a small amount of the new with the old one and gradually increase the balance. 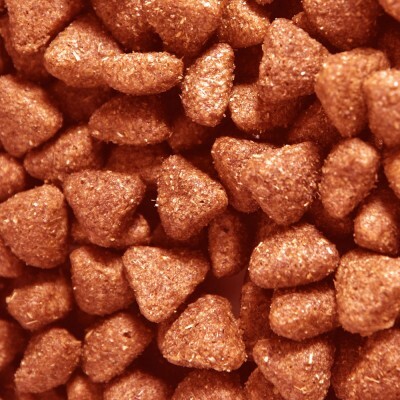 When feeding dry food mix with warm water and allow the food to soak for ten minutes, this will help dogs which are prone to Bloat or other digestive problems. Be careful not to soak 'to a mush' as the crunching motion helps clean teeth. If the dog is a fussy eater then try mixing the water with meat juice before soaking the dry food. Try adding small amount of salmon oil as a flavour enhancer and to help the dog’s skin and coat. Always provide fresh water with every meal. Keep a close eye on how much is drunk as this can be and indicator of health problems. Consult a vet if you think the dog is drinking too much or not enough. Food and water bowls should always be clean, wash and rinse them regularly. Check the packet to see the manufacturer’s recommended feeding amount. Check the ingredients and avoid foods which contain wheat based products or corn. Check to see that the food’s main ingredient is meat or fish; this should be the first ingredient on the list. Ensure that the label doesn’t just read meat or fish but lists the actual type, for example: Lamb or salmon. Labels that describe the ingredients as meat are often made up of processed leftovers which aren’t always suitable for dogs. Over feeding is very common but can cause health problems. Be strict with the feeding regime and be careful how many treats the dog eats.